At this year’s CinemaCon (formerly ShoWest) I got to speak to producer David Heyman twice. 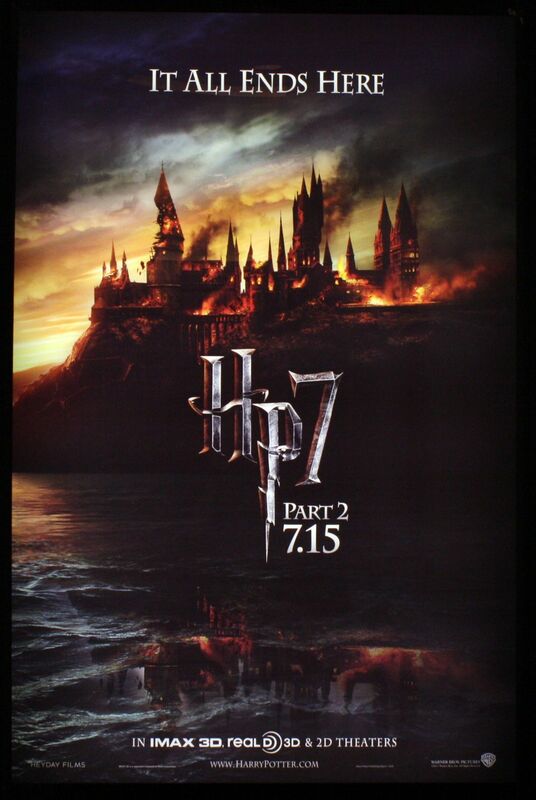 The first time was right before the Warner Bros. presentation where Heyman and Harry Potter producer David Barron showed some awesome looking footage from the final Harry Potter movie, Harry Potter and the Deathly Hallows – Part 2. You can watch the red carpet interview here and here’s my recap of the footage. A short time later, I was backstage with Heyman and we continued our conversation. During the ten or so minutes, we talked about the footage they decided to show from Harry Potter, will there be an “Ultimate Box Set” on DVD/Blu-ray, what props he took home from set (he has some of the horcruxes!! ), and he revealed that he had just “closed the deal on some Beatles songs, and we’re gonna do an animated film, a musical animated film using Beatles songs, with a love story between a dung beetle and a lady bug.” Hit the jump for more. Contrary to recent reports, no original Beatles master recordings will be featured in the forthcoming David Heyman (Harry Potter) produced animated film. The as-yet-unnamed film will feature cover versions of 10 songs written by John Lennon and Paul McCartney. Needless to say, Heyman isn’t going to have a problem landing a studio if he’s already signed The Beatles. Here’s the full conversation. A huge thank you to everyone at WB for setting up this interview and also to Heyman for giving me so much time. Collider: Epic. That’s the one thing I can describe about the footage we saw. You showed a lot of stuff from the ending (listen to the audio for specifics). The footage you showed looked like a trailer. David Heyman: It was just some footage that Warner Bros. cut together based upon the last cut of the film. They just did it randomly then I did some edits and moved some things around. The fact is, we start the film halfway through the last book anyway, so it is towards the end of the movie but the attack on Hogwarts begins to happen probably 30 or 40% of the movie. So then the film’s not—I’ve mentioned it’s the shortest Harry Potter film we’ve got, but it’s still over 2 hours. Are you taking out maybe little scenes to keep the tension strong? Heyman: No. We’ve pretty much defined the shape of the film. I think the first act is a gem, and we’ve just been figuring out a little bit about the middle. And I think we’ve figured it out and I think it’s gonna be—it’s great. Don’t you have like a system down for editing the films? Heyman: No. It’s funny, David Yates said, “Well this is good ‘cause I’ve got a little bit more time on this one,” Well as it turned out, we’re gonna go up to the wire as you always do on every single film. You expand, just as you have a larger budget, if you’ve got time, you expand it. You have produced many other things. 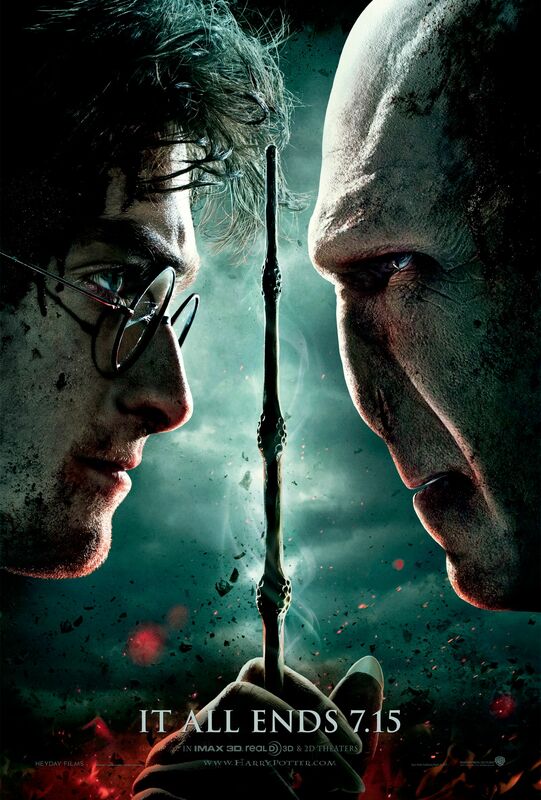 With the ending of Harry Potter, it opens up your calendar to be able to pursue other avenues and other films. Have you had the time to start percolating on other things? Heyman: I’ve got the rights to this book called The Curious Instance of the Dog and the Night Time, which I’m gonna do with [Steve] Kloves (screenwriter of Harry Potter). I just closed the deal on some Beatles songs, and we’re gonna do an animated film, a musical animated film using Beatles songs, with a love story between a dung beetle and a lady bug. Do you already have a studio doing the animation? How tough is it to land The Beatles? Heyman: Not easy. But we’re really excited about it. But as you say, now having the time to take new projects and build up the company, I’m really excited about it. Were there specific songs you went after with The Beatles? How does that work? Heyman: You have to figure out the songs you want. But we can switch out a little bit. So we’ve just got ten songs, and it’s a bit early to say what they are, but I’m really really excited. Could you talk about what your feelings are about Harry Potter ending? But is it really ever gonna end? Hypothetically speaking, if you had taken something home from set, what could you have at home? Heyman: I’ve got a few props. I made sure I got some of the horcruxes (laughs). I got a few things, because I think the props are so beautiful as much as anything else. The detail of the work is something that one has no idea of. What you see on the films is just a part of it. When you go into the Gryffindor common room there are notice books filled with class schedules and clubs you can be a member of and warnings, and you never see that in the film but it’s there to infuse the environment with an air of reality, and I think that’s just great so I wanted to hold on to a few of those things. While Warner Bros. is doing this tour, are you involved in this tour at all? So how exactly is it gonna be run? Heyman: Well they’re gonna recreate the sets, or move the sets. The art department who built them will be doing that. A lot of the props will be visible, costumes too, so a fair amount of stuff will be there. I heard they’re building a hotel too. Heyman: They haven’t told me about that. I don’t think so. Are you guys already talking about the “Ultimate Box Set” for something down the road? Heyman: We haven’t’ but you know it’s gonna come (laughs). There’s gonna be a big set coming up with the ones that have been made thus far. It’s a business, they’re gonna repackage and remold and reinvigorate and re-do. You know the ultimate this, and then they add a few things and it’ll be the new ultimate. But we’ve been looking at the ultimate collector’s editions already, and so there are versions of each of them that are gonna be really high quality packed with material that hasn’t been seen before.